My ongoing journey into fitness along with my insider look into pain management especially, lower back pain, knee pain, and shoulder pain started decades ago. The picture you see below is yours truly in the backyard of my grandparents’ home back in Tehran. 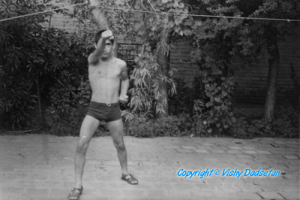 In the picture, I was practicing my second Tae Kwon Do form with only six moves. It might be of interest to new Tae Kwon Do students and those in other areas of fitness with unlimited access to amazing teachers and incredible facilities to know a simple fact. Back then, for me, and today for many, access to a teacher was limited to once per month. It took about six months for me to begin learning a new pattern. Time did not matter to me but lack of access was frustrating. I loved the motions, so I practiced the few moves for couple of hours per day straight and every minute of my waking free time which drove everyone, especially my younger sister out of her wits. I guarantee that if you practice any six moves for two hours per day for six months three things will happen. You’ll become very good at what you practice within the limitation of your form and the design of the motion. You’ll develop harmful imbalances even if you perform the motions accurately. Most of us, on daily basis, do a version of what I did back then. We repeat a few thought patterns, emotional responses and physical motions for several hours per day for years without anyone ever reviewing them with us. I at least had the luxury of having access to an instructor who could see me, watch me and correct my motions once per month. Today, we try to learn by looking at pictures and watching videos. Formal instruction is rare. Back then, I watched all kinds of martial arts movies. I especially liked those that included the philosophy of martial arts instead of senseless violence. Bruce Lee did that well. Watch the scene in the video below, and you’ll see how my words cannot come close to his presentation. You have to see the scene to get a feel for it. The same way that boards don’t hit back, and phrases cannot substitute live images, the pictures and the instructional videos you watch including those that I provide do not watch you. They cannot correct your errors and guide you. A live teacher is needed for performance corrections. If you are blessed with the opportunity to have an experienced and caring teacher watch your performance, take advantage of it as much as you can and as long as you can. In instructional videos, I use live models as well as anatomical models in addition to showing you how the observation process works. The videos are instructional but the emphasis is awareness and observation first and motions second. In my videos, I show you how things work instead of telling you what to do. Developing observational skills, especially detached self-observation is the second best thing I know of next to having a live teacher. In the videos, I also provide you with details on common conceptual errors leading to behavioral patterns that cause or sustain pain making them chronic. Knowing “why” and “how” helps your observation skill so that you know what to look for. 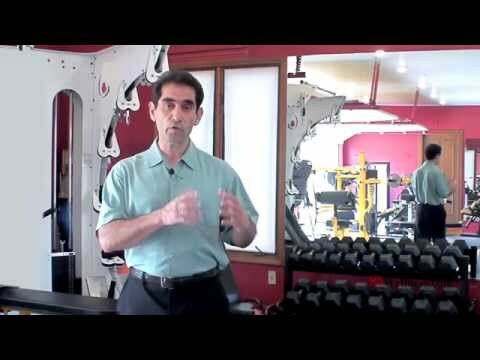 Below is a short video related to chronic lower back pain. It covers one aspect of low back pain related to pelvis control, anterior pelvic tilt and four areas connected to it. The objective of this video is to help you recognize and observe anterior pelvic tilt and correct it within your abilities. Watch for how how much it impacts the tensions that run from your feet to your neck. This is also a chance for you to personally experience how much lower back tension relief you can have through learning to control your pelvis.